This article first appeared on RyersonRams.ca on July 14, 2014. 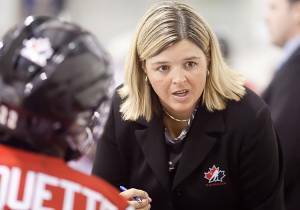 VIERUMÄKI, FINLAND — After coming off a gold medal win at the Sochi 2014 Olympic Winter Games, Ryerson Rams women’s hockey coach Lisa Haley is back in Europe, this time at the 2014 Women’s International Ice Hockey Federation (IIHF) High Performance Camp in Vierumäki, Finland. The camp got underway on July 12 with 98 players in the Under 18 age category from all around the world arriving for the start of the week long event. During this year’s camp, Haley will act as one of six mentor coaches, all of who are from Canada. Including Haley, five of the coaches have been gold medallists at the Olympics as either a player or a coach including Danielle Goyette (Sochi 2014 [coach], Torino 2006 [player], Salt Lake City 2002 [player]), Peter Smith (Vancouver 2010), Tim Bothwell (Torino 2006) and Margot Page (Torino 2006). This is not the first time that Haley has taken part in an IIHF High Performance Camp with the last time being in 2011 when the camp was originally introduced in Bratislava, Slovakia. 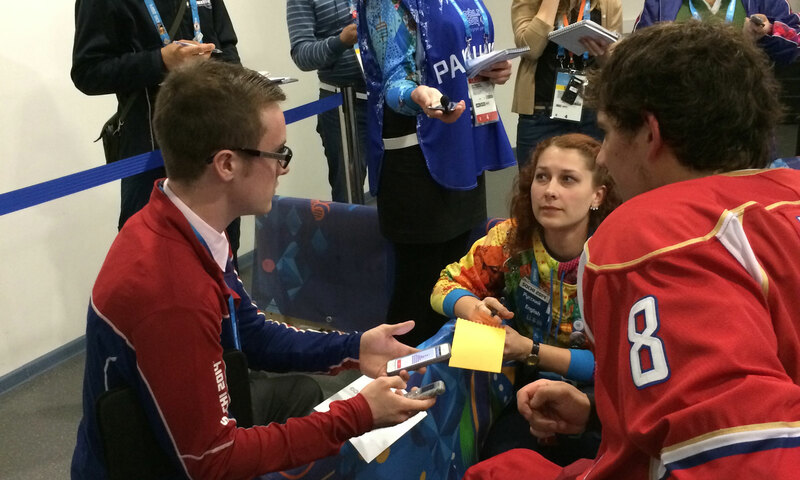 Haley admits that hockey has developed internationally since the last time she attended three years ago. Haley will mentor two U18 head coaches from Germany and Switzerland to discuss different strategies and game plans. The camp aims to help improve the players both on and off the ice with a big focus on nutrition and strength and conditioning. For Haley, it will be the first opportunity to act as a head coach in almost a year, serving as an assistant on Canada’s national women’s team during the lead up to the Sochi 2014 Games. The Ryerson women’s hockey team kick off their season on Oct. 11 against the Toronto Varsity Blues.